I decided to start a new column on my blog about wine educators and wine schools. The idea came to me after having attended the Society of Wine Educators conference in Orlando. So many talented people are teaching and we don’t hear enough about them or their schools/venues/classes. 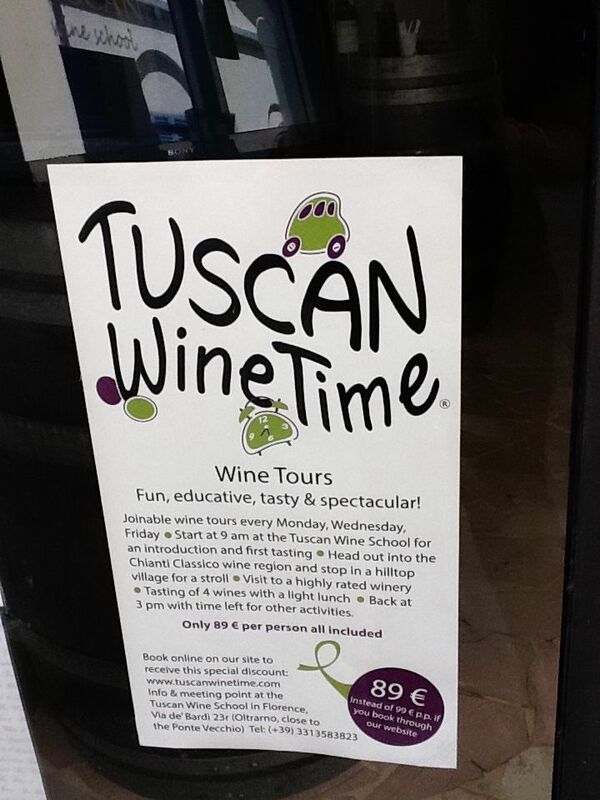 My first installment though is about a wine school I discovered when I was in Florence in July called the Tuscan Wine School. I didn’t get to speak with anyone there because it was closed the day I went, a Sunday, but it looked like an interesting school with WSET classes as well as other programs. It is located on one of my favorite streets, Via dei Bardi in the Oltrarno where I used to live. If you are in Florence, look them up, it looks like an interesting place to spend an evening.